GenMark Diagnostics has won FDA 510(k) market clearance for a pair of molecular diagnostic panel assays based on its ePlex Blood Culture Identification software platform, and designed for diagnosis and disease management of bloodstream infections (BSI) that can lead to sepsis. GenMark said yesterday it won FDA clearance for its ePlex Blood Culture Identification Fungal Pathogen (BCID-FP) Panel. Six days earlier on December 20, the company announced FDA clearance for its ePlex Blood Culture Identification Gram-Positive (BCID-GP) Panel. As a result of the clearances, two of three ePlex blood culture identification panels are now authorized for marketing in the U.S. The third is the ePlex Blood Culture Identification Gram-Negative (BCID-GN) Panel, which was submitted to the FDA in September 2018. All three are designed to detect bloodstream infections. All three panels are coupled with the ePlex “Templated Comments” software module, which according to GenMark allows hospitals to carry out immediate interventions linked to a diagnostic result and improve the effectiveness of their antimicrobial stewardship initiatives. 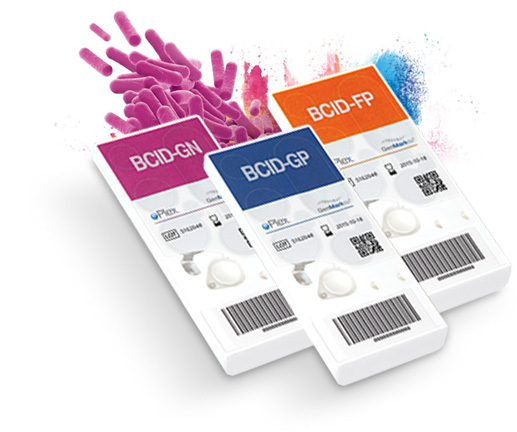 GenMark said the BCID-FP Panel has the broadest coverage of fungal pathogens compared to other commercially available molecular panels and includes many resistant and emerging strains, including Candida auris. The ePlex BCID-GP Panel includes bloodstream infection-causing pathogens and other targets designed to aid in rapidly ruling out blood culture contamination. ePlex: The True Sample-to-Answer Solution™ is designed to optimize laboratory efficiency as well as address a broad range of infectious disease testing needs, including respiratory, bloodstream, and gastrointestinal infections, GenMark said. GenMark finished the third quarter of 2018 with a net loss that fell to $10.993 million from a net loss of $15.408 million in Q3 2017. During the first nine months of 2018, GenMark’s net loss also shrunk, to $38.937 million from $47.312 million in January-September 2017. “We expect BCID to be a key contributor to our 2019 performance, driving both ePlex placements and assay sales,” Massarany added.